The Ohio State University (OSU) is among the top public universities in the United States. With a total enrollment of more than 64,000 students, it’s also one of the largest. Managing the facilities that serve the OSU community is no small task. There are more than 507 buildings just on OSU’s main campus, including 53 at the school’s medical center. The facilities information department at Wexner Medical Center at The Ohio State University recently undertook an ambitious initiative to bring the power of Building Information Modeling (BIM) to the way it manages its buildings. 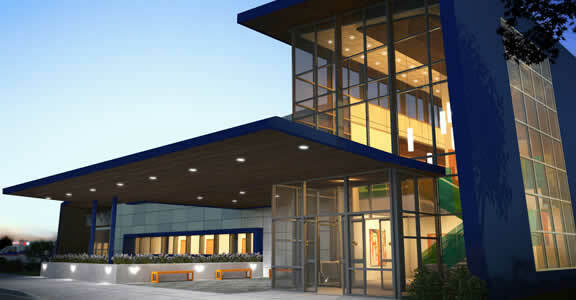 Thanks to the success of the initiative, OSU decided to extend the BIM program to its main campus. Wexner Medical Center has long used 2D building plans in its facilities management processes. Its facilities information team relied on AutoCAD software to help document and communicate equipment locations, safety plans, and space usage. Though valuable as documentation, the 2D plans weren’t readily understandable to decision makers not accustomed to reviewing building drawings. The 2D plans also lacked the intelligence that would have allowed them to contribute to energy consumption analysis. The facilities information team chose to use Revit software, available as part of the Building Design Suite Ultimate edition, to develop models of the Wexner Medical Center buildings. Prior to creating the models, they collaborated with Brian Skripac, director of digital practice at Astorino, to establish the standards for the amount of detail required and a process for developing each model. 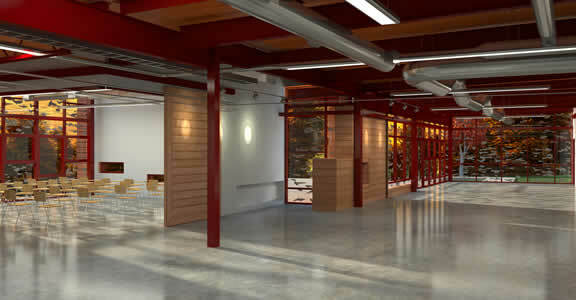 They then hired several architecture and engineering students to create the models in Revit. 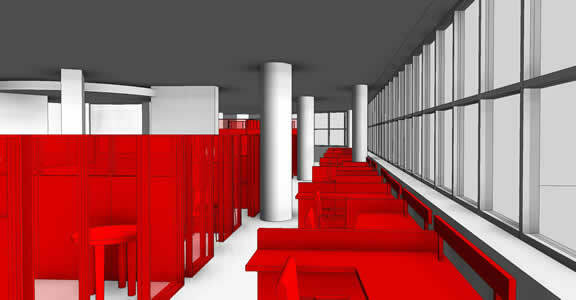 When planning a large or small renovation, OSU now turns to BIM to help plan the project. The facilities information department shows building users a model of the proposed changes early in the planning process. Building users can see what the changes may look like, and recommend modifications to the plan. When the plan is ready, the facilities department or a subcontractor can implement the changes by following the details in the model for smaller renovations. For larger renovations, OSU can use the model to help communicate the changes to the project design team. OSU has ambitious plans to reduce its energy consumption drastically over the next decade—and BIM is already playing a role. The facilities information department has begun sharing its Revit models with the team conducting energy use analysis for the university. *Autodesk Revit software is only available as part of the Building Design Suite Premium and Ultimate Editions and Infrastructure Design Suite Ultimate Edition. 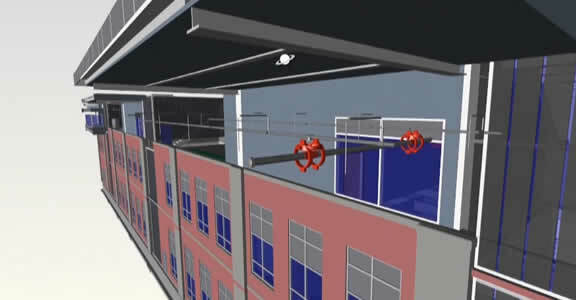 University turns to BIM to drive better, faster building operations decision making.